The Network Matters - Business Can't Exist Without the Network & You. Savvius offers a range of powerful software and appliance products that automate the collection of critical network data for network forensics in security investigations and for network and application visibility and performance diagnostics. Savvius products are trusted by network and security professionals at over 6,000 companies in 60 countries around the world. Visit www.savvius.com for information about Savvius Omnipliance®, Savvius Omnipeek®, Savvius Vigil™, and Savvius Insight™, and to learn about Savvius technology and channel partners. 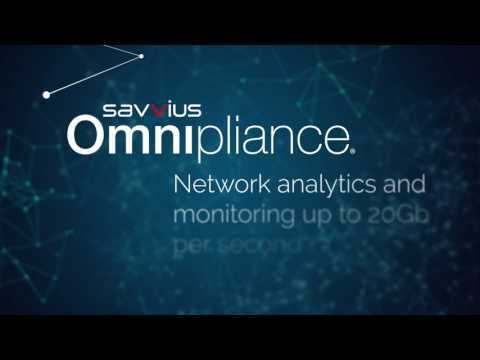 More Info: Savvius products capture network traffic, perform analytics, and vividly display the results, giving network professionals the vital information they need to discover and resolve network and application performance issues.